In 1965, the Union Gospel Mission Twin Cities launched a ministry to provide dental care to those in need. Dr. Dale Jacobsen, his students from the University of Minnesota School of Dentistry, and dentists from the Saint Paul Dental Society helped start the program. The first clinic was in the basement of the Bethel Hotel in downtown St. Paul. Over five decades, the clinic’s location and staff have changed, while its goal to serve others has remained constant. From the Bethel Hotel, the growing clinic relocated to Union Gospel Mission’s campus on University Avenue on St. Paul’s East Side. And in 2017 it became Hope Dental Clinic, an independent non-profit corporation. 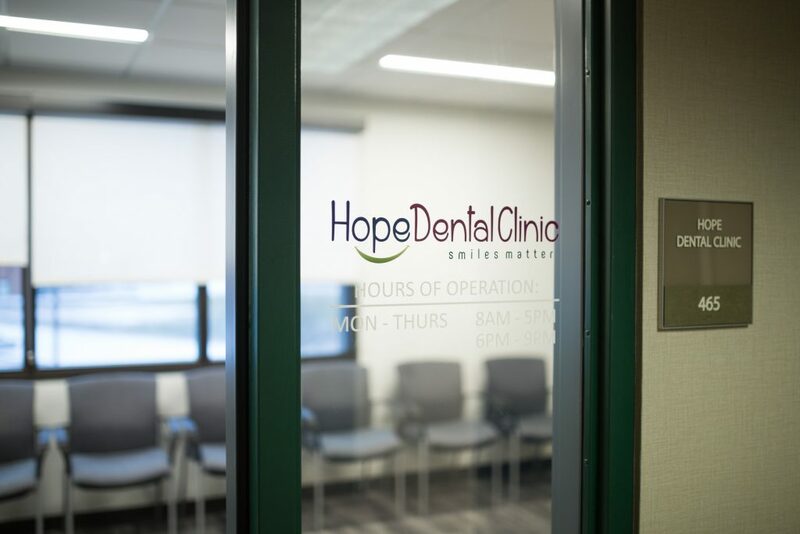 Hope Dental continues to serve thousands people every year in its new location. Patients include anyone who lacks dental insurance and the means to pay for care elsewhere. The clinic continues to rely on the talent of licensed clinicians as well as students entering the dental field. We also would not be able to operate without monetary donations from the community.